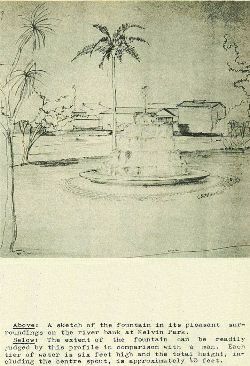 A water fountain, valued at £3000 and consisting of five circles of water jets which can be adjusted to form a pattern, and an intricate system of coloured lighting, is proposed to be built by the Gisborne Jaycees at Kelvin Park beside the Art Gallery and Museum. A sketch of the fountain in its pleasant surroundings on the river bank at Kelvin Park. 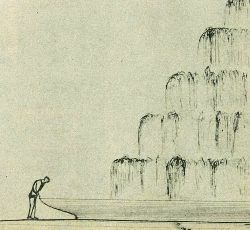 The extent of the fountain can be readily judged by this profile in comparison with a man. 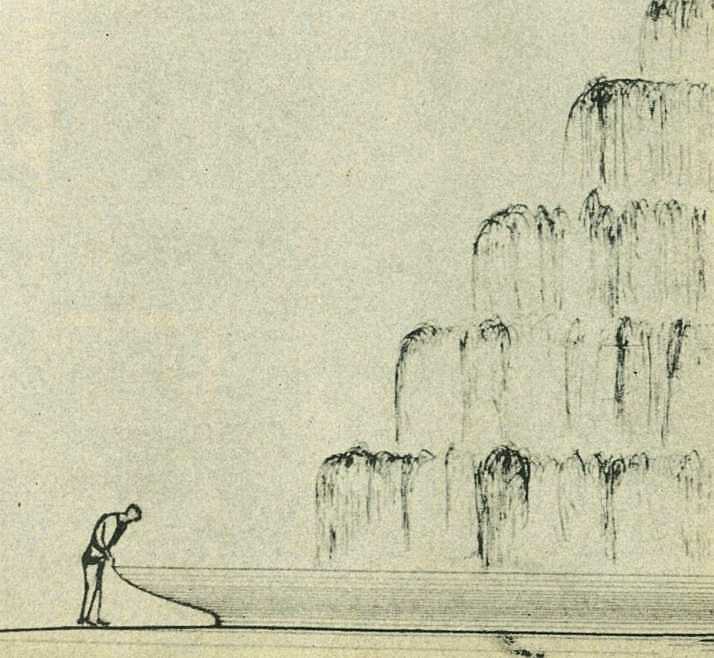 Each tier of water is six feet high and the total height, including the centre spout, is approximately 40 feet.